How much will it cost to have your solar panels cleaned? Accessibility: How difficult is it to access your solar panels? Current condition: How dirty are your solar panels right now? Frequency: How often would you like your solar panels cleaned? For a detailed, customized quote for your unique clean, we recommend obtaining a free estimate today by calling 07522 700 556. Please ask for Lee. 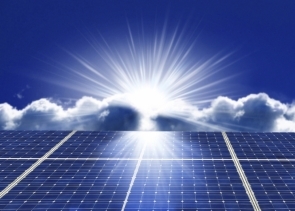 Most manufacturers recommend the cleaning of your solar panels every 24 months. 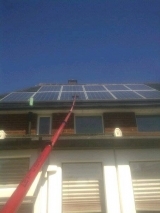 Solar Panel Cleaning are a necessary part of the system maintenance as all manufacturers require the cleaning of your solar panel system to maintain its warranty. Maximize your system’s full potential and protect your investment. In most cases the amount of money you can save by keeping the system’s surface clean pays for the cost of Cleaning service and puts money back into your pocket. Dirty panels mean energy output loss. working at its optimum efficiency. So how do you keep solar panels clean? 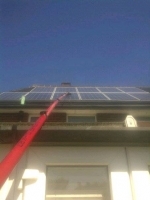 I decided to introduce a Solar Cleaning Services in to window cleaning specialist cleaning services. Our professionalism in providing you with the best possible service is of utmost importance to us and any feedback to window cleaning specialist is strongly encouraged to ensure the best ongoing service being provided to you in the future. ©2009 - 2014, Window Cleaning Specialist. All Rights Reserved.